KUALA LUMPUR • Prime Minister Mahathir Mohamad said Malaysia’s national school curriculum will be overhauled, as heavy emphasis is being given to Islamic subjects instead of getting students to master subjects such as the English language that could land them good jobs later. “They are all learning about the religion of Islam and not learning anything else,” he said late last Friday. His plan could prove controversial in a country that has seen a sharp rise in the number of conservative Malay Muslims, with the previous government running a popular Islamic TV channel featuring conservative clerics. And with Tun Dr Mahathir’s Pakatan Harapan (PH) government winning only about 30 per cent of Malay votes at the May general election, his plan could be a hard sell to Malaysia’s majority ethnic group. Dr Mahathir detailed what he plans to do to equip students for working life in a speech at a dinner held by his alma mater, Sultan Abdul Hamid College, located in his home state of Kedah. Malaysia’s primary school system comprises national schools, attended by mostly Malay Muslims, and Chinese and Tamil language schools, attended by most ethnic Chinese and Indians. There are also hundreds of Islamic schools called tahfiz and madrasah that attract young Malays. 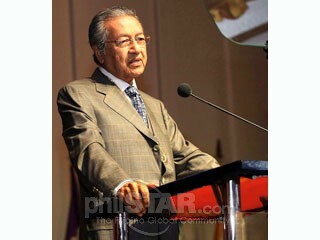 Dr Mahathir said he wants to reduce the teaching of subjects linked to Islam in the national schools. “We are going to change the timetable and curriculum in the schools. We will still study religion, but not all periods in one day, maybe one or two periods in a week,” he said. He added: “If we want to progress, Malaysians must be well-educated, not only in reciting the Quran, but also in other languages. If we don’t, we are going to be very backward,” he said. Dr Mahathir’s keen attention on education was seen when, in appointing his Cabinet soon after the May polls, he made himself Education Minister. “I took the post because there are so many people who are uneducated,” Dr Mahathir quipped when asked about the move. “The system that we have now is outdated,” he added. But he dropped the idea a day later after being told that the PH election manifesto pledged that the Prime Minister will not take a second portfolio to prevent concentrating too much power on the leader. Dr Mahathir had already directed all senior civil servants to converse in English, especially when briefing him, according to media reports. In August, Malaysian police chief Mohamad Fuzi Harun said the force will be using English in their daily briefings, and that he had started conducting security briefings in the language to Dr Mahathir. The police saw their first 30 officers taking an English-proficiency writing test in August. All those nations who are the followers of manmade relogions are legging behind & are leading a miserable life including Muslims.Mahatir has very rightly pointed out the major weakness of his nation. only Quran must be taugt . It seems to me that you misunderstood Mahathir Mohammad.